Learn about one of the UK’s most enigmatic bird species, the swift. You’ll be able to watch these amazing birds feeding chicks inside the nest, by way of webcams, and watch interesting behaviour outside the colony. Find out all about their nesting and migratory habits. Price This is a free event held as part of the first National Swift Awareness Week. Any donations will go to Leeds Swifts to help establish more swift colonies in Leeds. Transport No transport available. 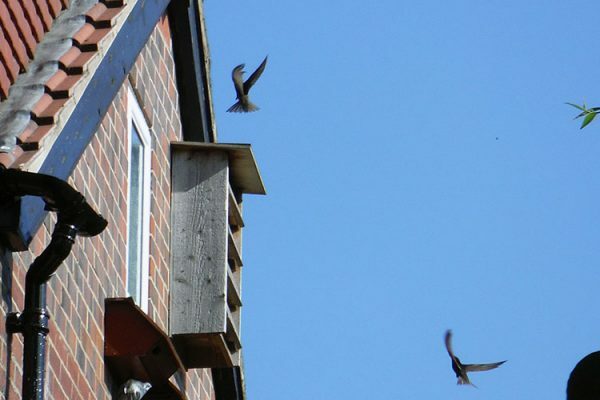 Address and meeting information available on booking What to expect Half the group will sit outdoors watching swifts entering nest boxes while the other half visit the webcam viewing area indoors. What to wear Late spring evenings can be chilly so bring plenty of layers and waterproof clothing. Join me on more trips and learn about each bird’s story whether it migrates or stays in the UK the time of year when it can be seen the types of habitats preferred by different species how birds adapt to their environment. Learn about one of the UK’s most enigmatic bird species, the swift. You’ll be able to watch these amazing birds feeding chicks inside the nest, by way of webcams, and watch interesting behaviour outside the colony. Find out all about their nesting and migratory habits. This is a free event held as part of the first National Swift Awareness Week. Any donations will go to Leeds Swifts to help establish more swift colonies in Leeds. Half the group will sit outdoors watching swifts entering nest boxes while the other half visit the webcam viewing area indoors. Late spring evenings can be chilly so bring plenty of layers and waterproof clothing.